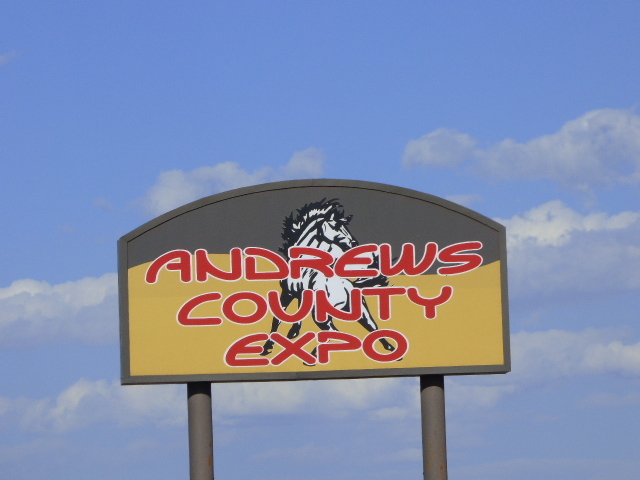 For the past four years, on the last weekend of April, the Andrews, Texas Chamber of Commerce has hosted the "Wild Wild West Fest" at the ACE Arena. On Saturday, drivers on TX-176 (about 60 miles northwest of Big Spring) could see a barrage of carnival rides along with countless vehicles near a sign that read "Andrews Loves God, Country, and Supports Free Enterprise." Upon entering the parking lot, and seeing the sights, people basked in the knowledge that a small town of 12,000 could have such an extravagant event. Julia Wallace, executive director of the COC, said, "We've had vendors come in from such places as New Mexico, Colorado, and all over the state of Texas--even as far as Oklahoma and Tennessee for our barbecue cook off." 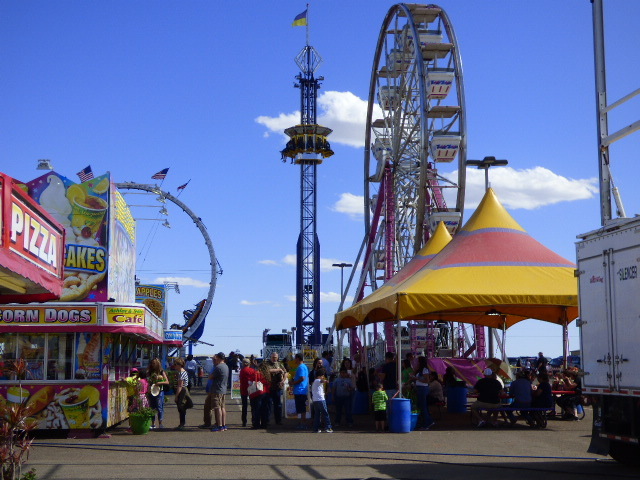 There was no admission charge to the festival, and the only thing patrons had to pay for were bracelets for the carnival rides ($25 per day), and purchases at vendor booths, including food and merchandise. Wallace estimated around 12,000 to 15,000 people attended the event this weekend. There were around 60 participants in the BBQ cook-off, said Wallace, which was an IBCA Sanctioned State Championship event. Entrants competed for over $15,000 in cash and prizes. Entry categories included brisket, chicken, ribs and pulled pork. "For the judging part, we had several local celebrities as well as representatives from CBS 7, and a past winner from the Food Network's show 'Chopped' with Ernest Servantes," explained Wallace. Live musical performances over the weekend included AJ Castillo on Friday, and the UTPB Mariachi Band, Noal Olivas, (a local musician), and Country music artist Corey Morrow performed on Saturday. 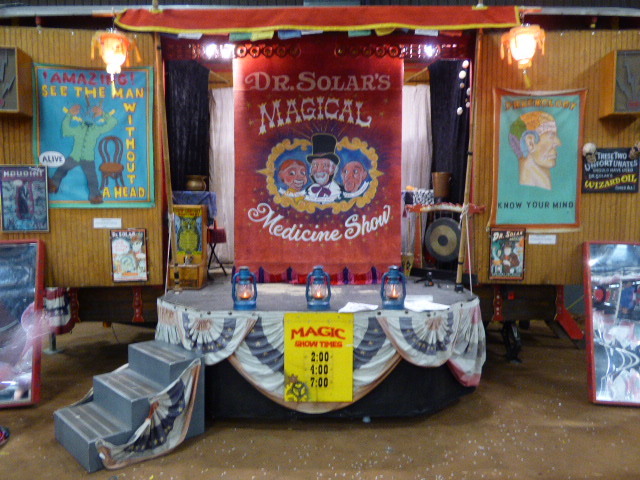 Besides anything imaginable regarding a "western" theme (rodeo events, mock gunfight, BBQ, tractor pull, Buffalo Soldier Camp, Chuck wagons and Cowboy Poet), there was also a "Medicine Man show" and Living History exhibition featuring "Pui Tomobi" (Eyes Like Sky) by Kevin Browning of "War Pony Productions." 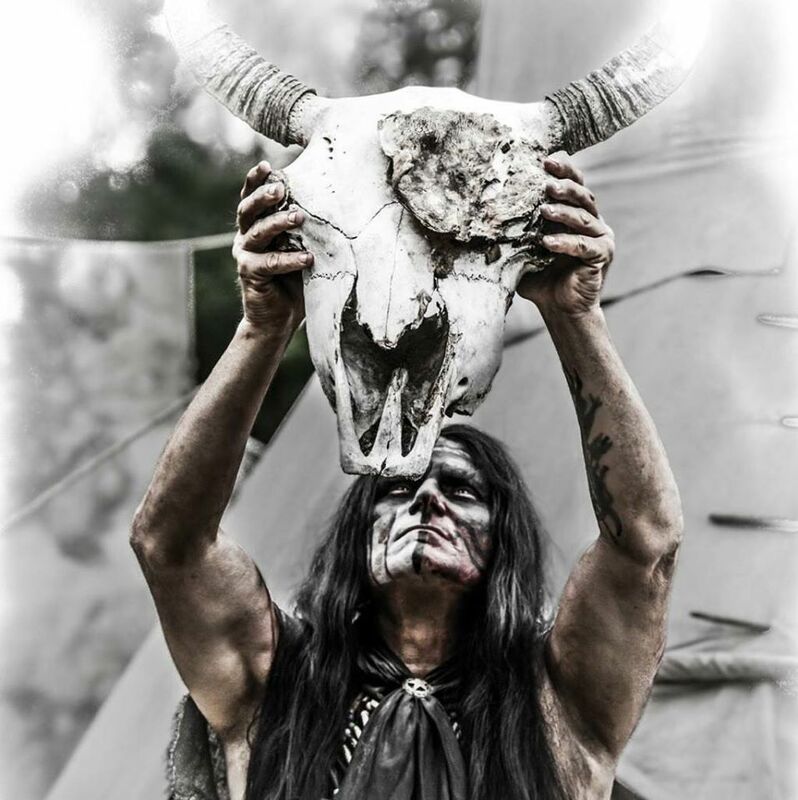 For a small fee of $5, patrons could have their photo taken with him in full costume with a variety of backgrounds that had the feel of the 1800's Native American lifestyle. "The only reason I bred my wolves was people were requesting them, but then changed their minds. 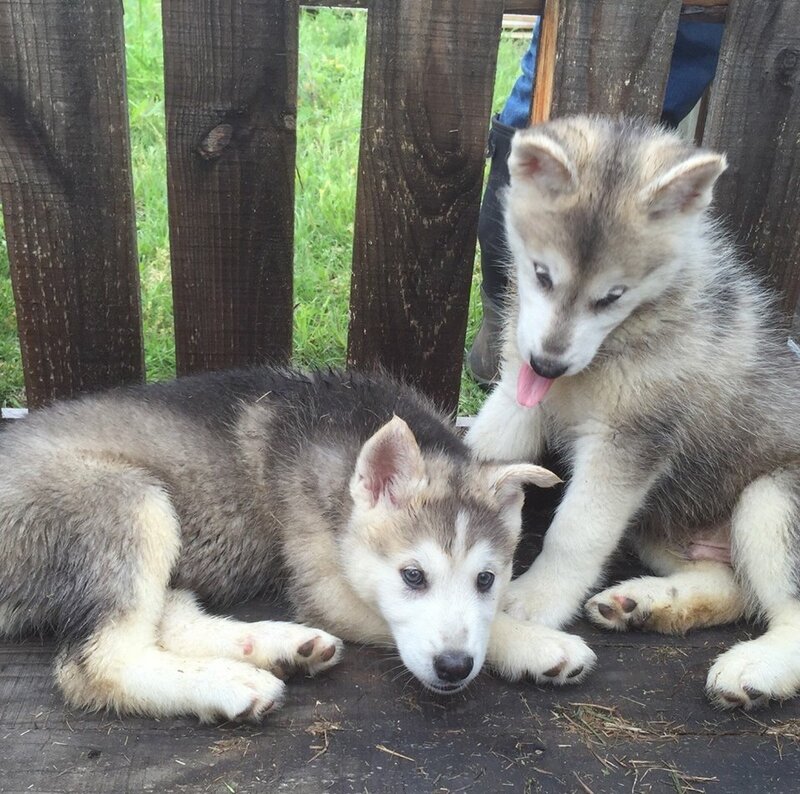 I need to find them new homes as they are very 'loyal,' and I don't want them getting too attached to me as we (partner Ann Bridges) are on the road all of the time." He added that if anyone is interested, to please contact him on his Facebook page, or "[email protected]." Browning stressed these kinds of pets require very special care, attention and maintenance. Past the Mechanical Bull pen, and inside the exhibit building, there were a variety of classic cars, trucks and bikes on display with the familiar signs stating "please don't touch." 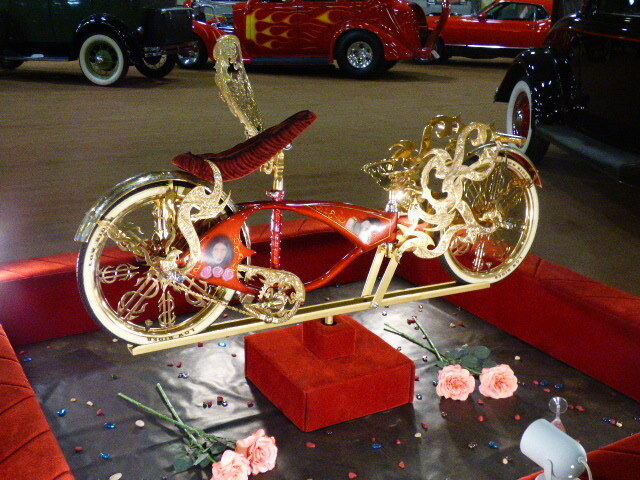 A shiny red 1967 Classic Schwinn bicycle with gold trim sat elevated and roped off amongst special lighting with the proud owner's name "Gary Essman" listed on the paperwork. Winners of this competition were awarded trophies. Children and adults of all ages enjoyed the rides, food, sounds and sites as the music blared over the loud speaker, and bodies were in constant motion walking, running and skipping to and fro. Pastor Tracy Spencer Brown said she has brought her sons out each year for the past four years. As she sat resting on a bench enjoying the warm sunny weather, she said, "We enjoy it as it is a very family-friendly event and a way to draw people to Andrews." Brown added that she works at the local food pantry, and has been seeing more and more people coming in needing help, so it was nice to know this festival was free to the public and encouraged family time. Overall, when asked what's so special about Andrews, Wallace sighed, smiled and said, "We have a lot of great people who are very patriotic and family oriented with a sense of community spirit. We may be a small town, but not small time." As soon as they pack up the last box for this event, coordinators will be planning next year's festivities, and Wallace encourages everyone interested in participating, from near or far, to contact the Chamber. For more information, check out the Andrews Chamber of Commerce on Facebook as well as their website, http://www.andrewstx.com. Also, for more information on Kevin Browning, go to http://www.warpony-productions.com.